In 2015 I collaborated and developed a line of products called the 'Storm in a Teacup' range with the talented people of Mockbee & Co. for The Letteroom. My part in the process consisted of developing ideas and communicating these ideas to the designers. Over a period of several weeks, I put together research, several design concept and numerous moodboards to show Mockbee and Co. how best to approach the concept. Additionally, I came up with the four variants of the teacups and saucers. The concept of 'Storm in a Teacup' was translated into a perfectly plain white cup with bright designs on the inside that would be a surprise - hence, a designed storm in a cup. It was also given a positive twist with aspirational sayings on the saucers. The idea being that the quotes would be a happy surprise when the cups were lifted off the saucers. 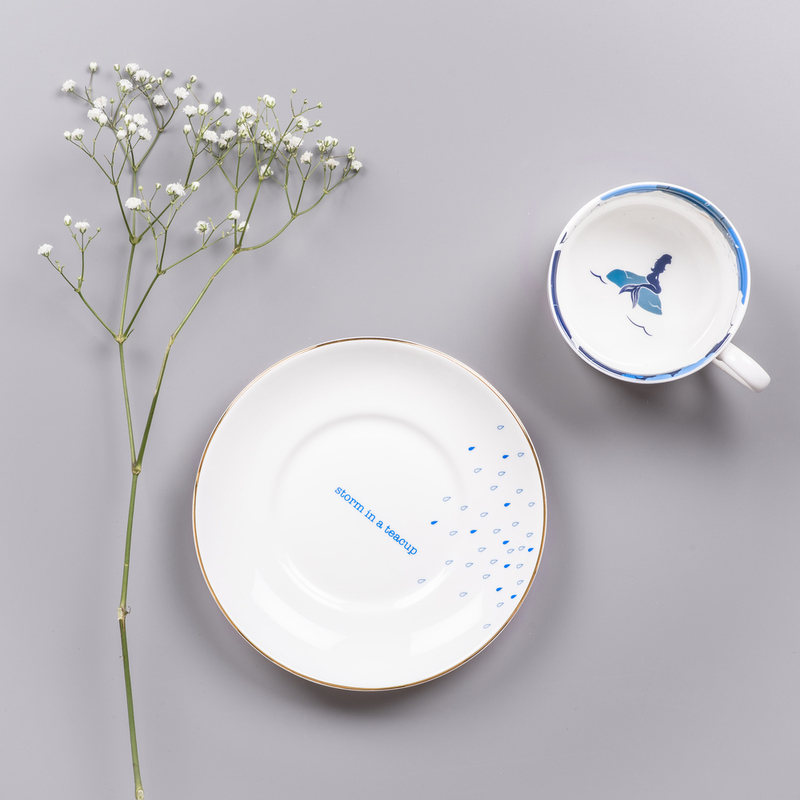 Mockbee and Co. then executed the concept with the finest quality Fine Bone China made in Stoke-on-Trent, famed for being the home of the best ceramics. The designs are hand-laid and the rim of the saucers and the lightning on the inside of the cups are real gold. The 'Storm in a Teacup' range is for sale here.